After a sizzling summer, the temperatures are finally dropping and there’s a definite chill in the air. This is an important time of year for oil storage tank owners, as the fluctuating temperatures can make tanks a little more vulnerable. If you use your tank for heating oil, it’s likely to see a lot more use over the coming months, so it’s a good idea to double-check it’s in good working order before your next refill. Walk around the outside of your tank, looking for signs of wear and tear on all surfaces (don’t forget to check the top). Look for signs of sun-bleaching, deep scratches, rust spots, dents or bulges – these can all compromise the integrity of your tank. Check that the ground beneath your tank is level and secure – pay close attention to the base of your tank to see if it is taking unnecessary strain in one area. Check the fittings surrounding the tank itself – the cap, for example, and the connected pipes and valves if you can see them. Look at your tank’s surroundings – are there objects nearby that could be blown into the tank, or overhanging branches that could fall? Clear these as soon as possible. Don’t forget to check the bund. External bunds can fill up with water and dirt, even if your tank is kept indoors. Keep them clean and empty. Follow our security checklist to make sure that the physical safety of your tank is up to scratch before refilling it. Routine tank maintenance is essential for keeping your tank in good working order and identifying any risks as soon as possible. Although it can be tempting to put off costly repairs or replacements, dealing with a split tank (particularly one that’s just been filled up) is going to be a much bigger issue. At SG Tanks, we have been carrying out tank surveys, installations and replacements for many years. If we can be of any assistance – either by answering your questions or coming to replace your tank before winter – we would be happy to help. 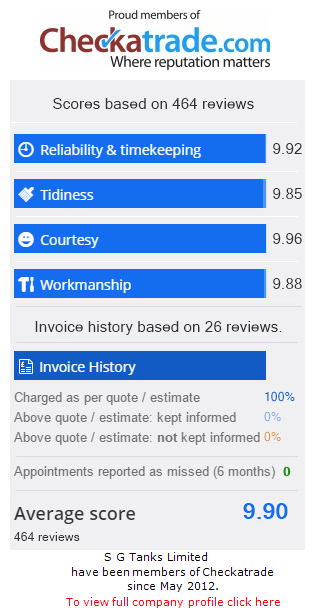 Simply call us on 01903 856403 or drop us a message on our contact page. What’s the difference between a single skin and a bunded tank? When it comes to installing an oil storage tank, understand that there are two types – single-skin and bunded. It’s important to know the difference before choosing one to be installed, and how the type of tank affects your responsibilities for keeping it secure at all times. 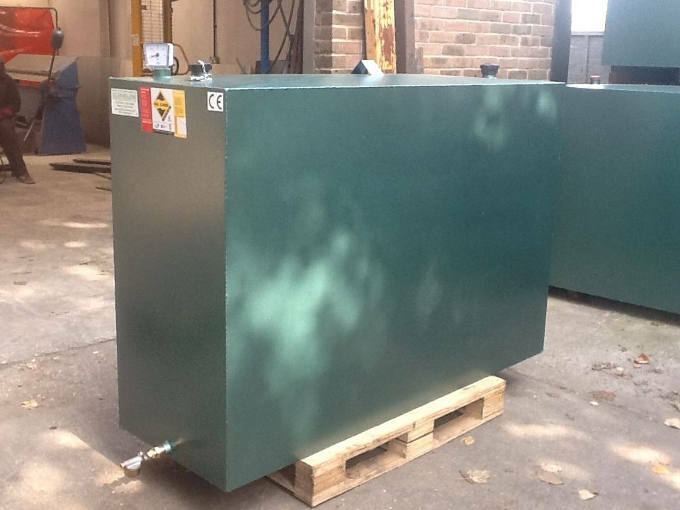 At SG Tanks, we supply high-quality oil tanks to residential, commercial, agricultural and industrial clients all over the South East, and are happy to help you make an informed decision about the tank you’re planning to buy. If you need specific help beyond the scope of this blog, please feel free to give us a call on 01903 856403 and we can answer any questions you may have. Essentially, a single-skin tank is exactly what it sounds like – the oil is held within one layer (a single skin) of plastic or steel. This straightforward construction means that single-skin tanks are usually the cheapest option to purchase, and may also be easier to install and maintain. However, it’s a legal requirement that a single-skin tank is stored with an external bund or spill pallet with a capacity of 110% of the tank’s contents when full. 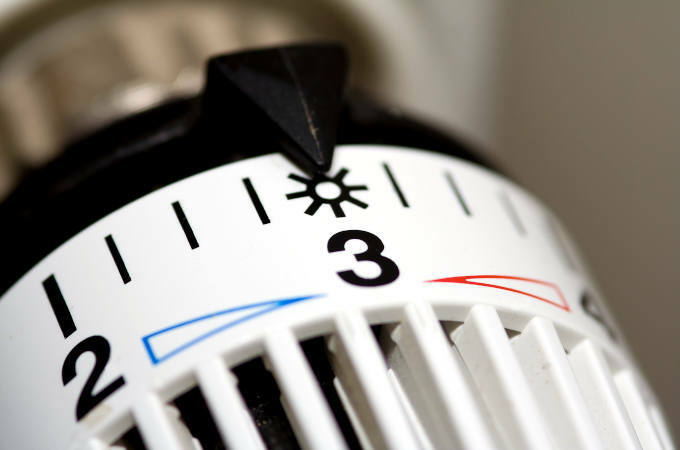 This is to ensure that the surrounding environment is protected in the event of a leak or spill. Bunded tanks, on the other hand, have two skins – you could picture it like a tank within a tank. The oil is held within the inner tank, which is enclosed within the secondary tank that acts in the same way as an external bund. Although these tanks are typically more expensive than the single-skin varieties, they eliminate the need to buy and maintain a separate external bund. We sell a range of oil storage tanks, including single-skin and bunded oil storage tanks. 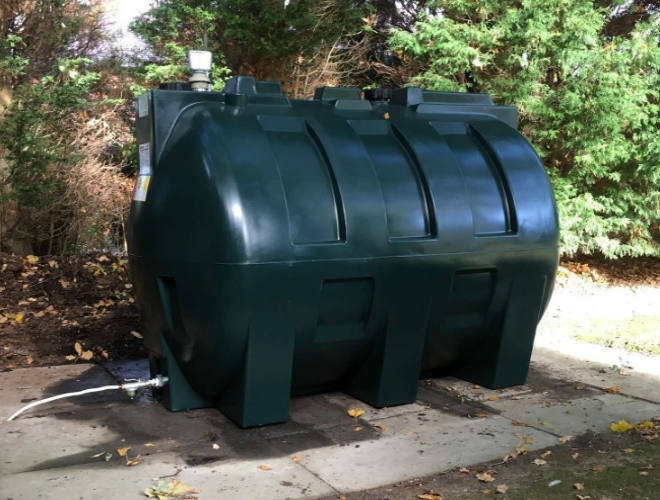 For more information about which type of tank would be the best choice for your property, contact us and we’d be happy to help.